Say what you will about winter. It’s cold. It’s dark. Nothing good happens. I agree. Winter kind of blows after the pizazz of the holiday season fades away. But it gives one time to work on hobbies. One of mine happens to be cooking. I’d like to be an amazing cook one day. Now I’m only so-so. I would be nowhere without All Recipes, but I’m trying to improve. I’m also trying to curve Seasonal Affective Disorder by getting back into knitting and writing. All I’m saying is expect more cooking and knitting talk for the rest of winter. This is a chicken stir fry recipe which turned out amazing. It was just enough spicy. 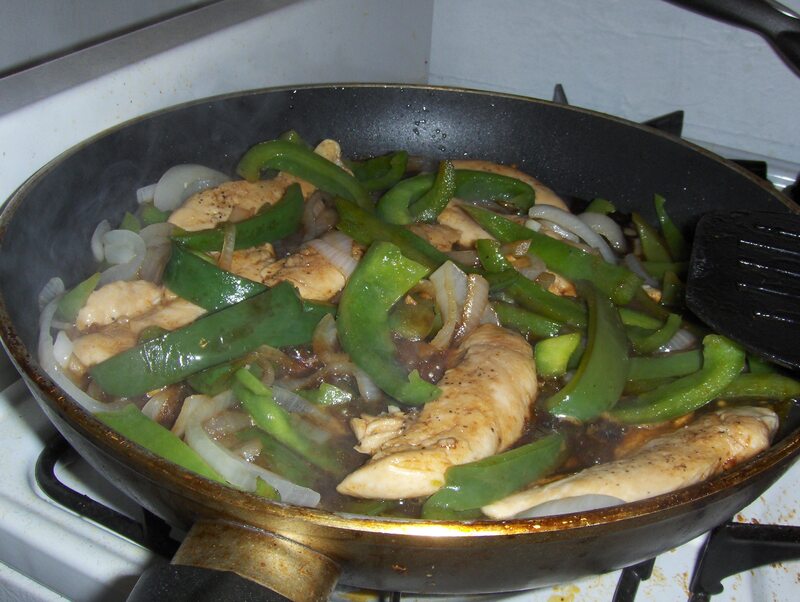 I added the sauteed onions and peppers to the recipe to make it more of a meal. I also served it over rice. That is one of my AllRecipes favorites! I loved it too. Great minds think alike.